identify other clients for whom JKM may be a suitable investment and notify them immediately of his recommendation. document the details of the conversation with the client with regard to his investment recommendation. verify the suitability of the investment recommendation before placing the client’s order. Standard V(C) Record Retention requires that Members and Candidates document all recommendation and communications with clients. McCoy should document the details of the conversation, including any resulting investment decisions and/or actions. The suitability of the investment should have already been considered before the recommendation and McCoy should not execute the order until the client instructs him to. Identifying other clients for this investment would fall under Standard III(B) Fair Dealing. A broker and CFA charterholder has been arrested for the crime of murder. Which, if any, of the following could result in the member being summarily suspended from using the CFA designation? Both of the results listed here. Either being convicted or pleading guilty to the crime. He is acquitted of the crime, but he is barred from continuing to work in the investment industry. Both of these are reasons that CFA Institute may use for summarily suspending use of the CFA designation. A) is within his right only because it could be self incriminating. B) is within his right only because he does not have the CFA designation yet. C) could be summarily suspended from membership. Refusing to cooperate with a CFA Institute investigation of a member’s behavior could lead to suspension of membership. If the member has earned the right to use the CFA designation, the punishment could be suspension of use of the designation. Which of the following is least accurate regarding reasons for imposing a summary suspension upon covered persons? A) Failure to return the annual professional conduct statement. B) Disbarment under securities laws. C) Misdemeanor charge for the possession of illegal narcotic substances. A single misdemeanor conviction for possession of illegal narcotics is not grounds for a summary suspension. With respect to filing complaints concerning the professional conduct of a CFA Institute member, which of the following is CORRECT? Anyone can write the Professional Conduct Program staff with a complaint concerning the conduct of any member. Only other members can write the Professional Conduct Program staff with a complaint concerning the conduct of another member. Anyone can write the Standards and Policy Committee staff with a complaint concerning the conduct of any member. This is from page ix of the Standards of Practice Handbook. Complaints may be filed by anyone and are to be written to the Professional Conduct Program staff. With respect to the CFA Institute enforcement of the Code and Standards, which of the following is NOT a possible disciplinary sanction? Refusing to allow a candidate for the CFA designation to take one of the exams. CFA Institute does not impose fines. All of the other choices are possible sanctions. 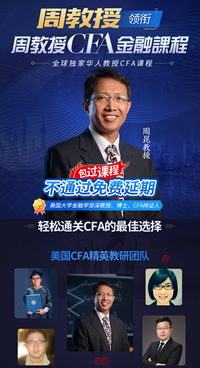 CFA Institute may suspend a candidate from further participation in the CFA program. Which of the following correctly lists disciplinary sanctions in order of severity, lowest to highest, that the Designated Officer may take as a result of an investigation? Suspension of the CFA designation, public censure, revocation of the CFA designation. Public censure, suspension of the CFA designation, revocation of the CFA designation. Suspension of membership, revocation of membership, public censure. Public censure is less severe than suspension from using the CFA designation, and suspension is less severe than revocation. will be suspended from membership or participation in the CFA Program. will typically not be subject to further disciplinary procedure unless a new investigation is initiated. may request an appeal to a hearing panel. A member or candidate may accept a proposed disciplinary sanction or request an appeal to a hearing panel. vote all proxies on behalf of clients in a responsible manner. utilize client brokerage to the sole benefit of the client. submit to clients, at least quarterly, itemized statements detailing all of the period’s transactions. Because of the time and expense involved in voting a proxy, Members and Candidates are not required to vote every proxy. A cost benefit analysis can be performed to determine if it is necessary to vote a proxy. Which of the following activities would be following a component of the Code of Ethics explicitly? Consulting with colleagues about opinions you reach in your research. Maintaining a list of colleagues who have violated the CFA Institute standards. Attending continuing education seminars on investing and inviting colleagues to come along. The Code states that a member shall “Maintain and improve their professional competence and strive to maintain and improve the competence of other investment professionals.” None of the other answers qualify.